Apply today we have positions open and ready to fill 419-212-9397. We are the temp agency you need call us today to help you find the job you need. 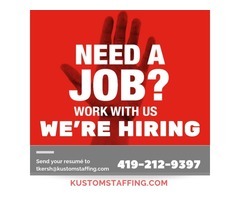 We are a temp employment agency hiring right now. We are a temp work agency dedicated to help you. Our temp hiring agency will get you placed in a job right now when you most need it. Stop looking for a temp agency near me, this is the one employment agency you will need. 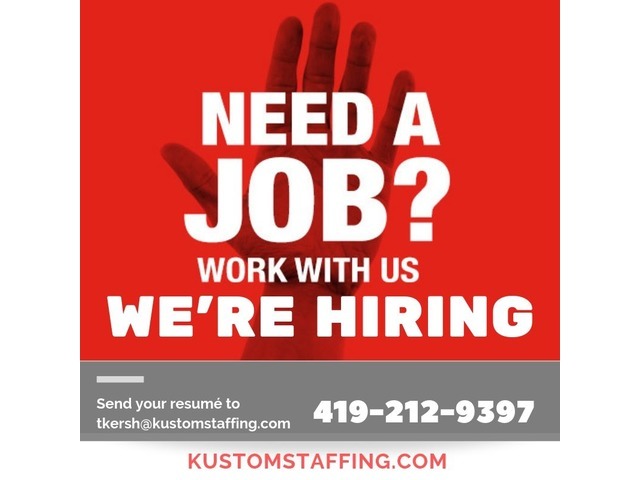 Call us today at 419-212-9397 Visit us: kustomstaffing.com Kustom Staffing 211 S. Main St. Bryan Ohio. We are the best temp job agency in Northwest Ohio.